It is not sufficient to know Tables & Formulas in Excel. You must also know how to make sense of the data that you have. Successful analysis of data, and presentation of data are vital skills for any office worker. Simple techniques to analyze data are to use Pivot Tables, Normal Data Ranges, and Tables. Further, there are advanced data analysis tools within Excel – like the Scenario Manager, Goal Seek, Solver, Conditional Formatting, Slicers etc. that make the job of data analysis much easier. However, it is not sufficient to merely analyze the data. 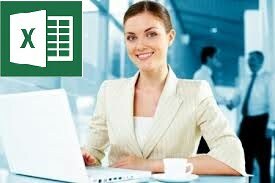 It is important for you to also present the data using the latest and best in-built techniques within Excel. Most of the people who come for Excel Dashboard Training, or the Data Analysis Training With Excel are not aware of these features. When you create an Excel Report, which allows for the Report to become interactive, allows the management to play with the data, change the parameters, and see the data change, the graphs update dynamically, then such a report is called a Dashboard. The key different between a Report and a Dashboard is that a Report can be static, long, and without any interactivity. In contrast, a Dashboard is a dynamic report, Short, Fits a page usually, and allows the users to change several parameters on the fly to compare the data from the past year, quarter, and play what if dynamically. 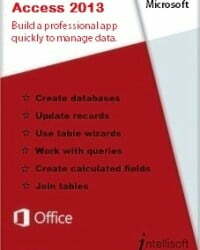 Dynamic Dashboard With Microsoft Excel – Learn to Do It Yourself! Intellisoft Systems in Singapore conducts Public and Customized Classes for Creating Dashboards With Microsoft Excel. Many companies have opted for Corporate Training, where the content can be customized to suit your audience and participants, plus their level of expertise with Microsoft Excel. For the dashboard training, the Excel version is not that important. You can use Microsoft Excel 2010, 2013 or Microsoft Excel 2016 for the Excel Dashboard Training. Plus, the Dashboard training can be conducted in your country. Simply contact Intellisoft at +65-6296-2995 for the training details.